People often ask me after a time of preaching the gospel on campus or after an evangelism trip, “How did it go?” I always feel uncomfortable with this question, because I do not have an answer. 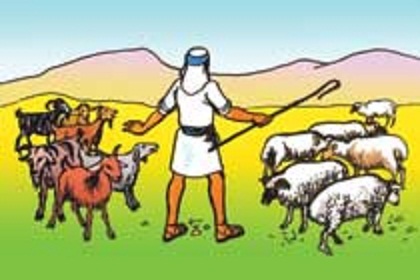 Here is what I do know: I know that Jesus is the good shepherd and He laid down His life for His sheep. I also know that His sheep hear His voice and follow Him, but as the apostle Paul said, they cannot hear Him without a preacher and they cannot preach unless they are sent (Rom 10:14-15). Jesus told His disciples to go preach the good news indiscriminately. “Go into all the world and preach the gospel to all creation.” (Mk 16:15) Although it is said differently in each gospel account, and also again in Acts. It is a sending out of His church to preach the good news without regards for race, social standing, wealth, intelligence, or niceness. Preach the gospel to everyone!